Social media is a fabulous market research tool. You have many friends, and potentially the entire user base, to ask questions of. So I boldly decided to ask a question before going to print. 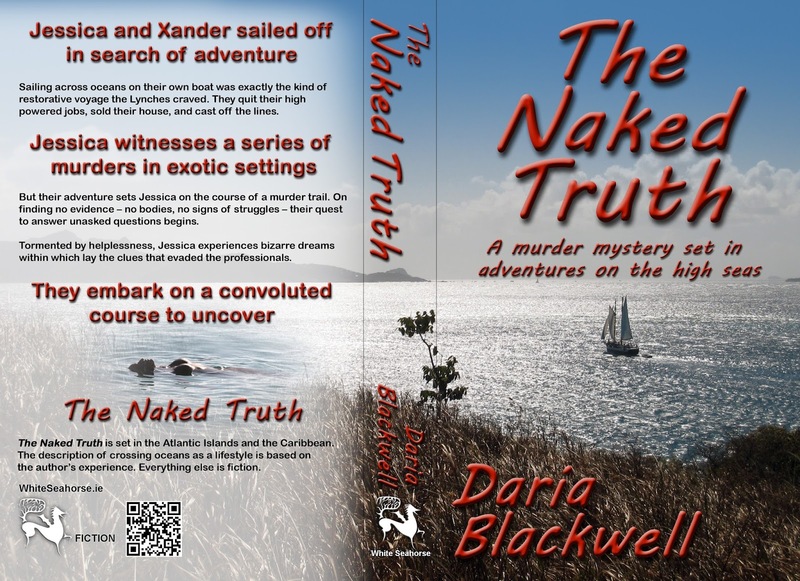 After I finished a first draft of the cover copy and design, I posted it on my Facebook page and asked my friends if they would be enticed by the front cover to pick the book up if they saw it on the shelf. Furthermore, I asked if the back cover description would make them want to read it. I received so many amazingly insightful comments, including one grammatical error that would have been terribly embarrassing. Neither I nor my husband caught it, which underscores the need to involve impartial editors and proofreaders. Most important, quite a few of the women objected to the image of a naked woman on the front cover and used stylistically as an icon on the back. Suffice it to say, none of the men objected. 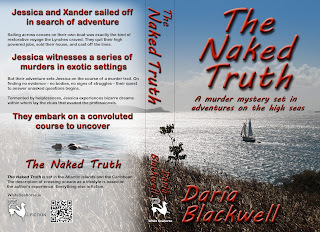 Whereas Alex and I had thought to tag onto the title, "The Naked Truth", my friends rightly pointed out that it's a murder mystery in a sailing setting. That put us to work redesigning the cover. The new cover met with all around approval. So we are now ready to go to proof. Thanks to all my friends for their candor and insights. It pays to be brave and to ask for advice. This was invaluable. The final and winning entry is #4. Ta-da. It's proof time.